Mutants are sensitive to radiation. We avoid radiation when possible because ionizing radiation causes breaks in DNA that our mutant p53 is not good about repairing. Due to this, there are several studies that are looking into whole body MRI as a screening tool for LFS cancers. A huge benefit to MRI is that is does not use radiation and doesn’t present an additional threat to our sensitive mutant DNA. A major down side is that MRI can take time, especially when scanning an entire body. Another problem is that it can be really expensive. For more about how MRI actually works check out one of our previous blogs LFS MRI 101. If you are curious about the difference between MRI and CT- check out Comparing MRI to PET/CT. Recently in our support group, the question came up about the safety of MRI Contrast. A fairly basic question, but a good example of how when you live LFS, small things you didn’t consider before suddenly pop onto your radar.Screening for cancers when you have a hereditary cancer syndrome becomes part of your lifestyle. Although there is no set recommendation yet or protocol, researchers are diligently working to create them for us. These things take time and people and…MRI’s! Although it may feel like we have a lot of MRI’s, from a statistical standpoint- we are a pretty small group. Many mutants follow the Toronto Protocol, which for many years was the only sort of recommendation anyone with LFS had to go on. Now Dana Farber has studies looking into the effectiveness of rapid whole body MRI for LFS, the NIH in Maryland does as well and MDAnderson just opened their LEAD Clinic- to specifically address LFS issues like screening.When you are actively trying to diagnose a cancer, sometimes certain scans are necessary. The risk to benefit ratio changes when you are scanning versus when there are no symptoms and you are screening. We, like physicians must follow the principle: first do no harm. It is a principle we should apple to our daily lives as well, especially as we consider what we put in and on our body. So let’s approach MRI contrast with that same consideration. First of all, what is MRI contrast and what does it do? Most often used used for MRI is gadolinium. It is a contrast, not a dye. 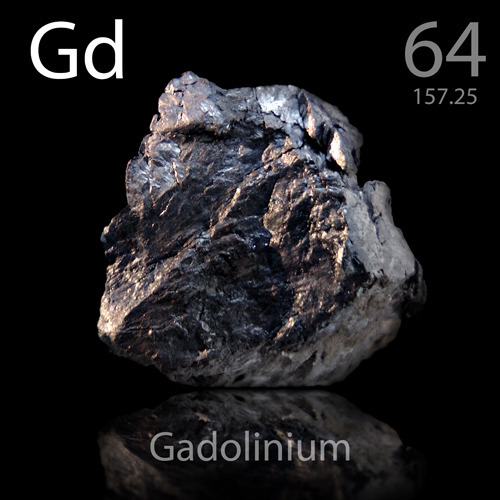 Gadolinium is a paramagnetic metal that is attached to a carrier molecule and then injected into the blood stream. It increases the visibility of inflammation, tumors, vessels, and scarring by going to those spots. Dyes stain tissues, whereas contrast changes the way the MRI interacts with the body. Reactions to gadolinium are rare, although some people are allergic to it. Most common reactions are headache, nausea, dizziness and a cold feeling. It is less likely than barium or iodine to produce an allergic reaction. Gadolinium passes out of the kidneys in about 24 hours. It does cross the blood brain barrier. That’s a big reason why it is used. So gadolinium does get into the brain. The big news story that got people questioning the safety of gadolinium was one that announced that the FDA was looking into concerns that gadolinium left metal deposits in the brain. Read the FDA announcement HERE. So what is a mutant to do? Well let’s step back and look at this logically. Minute metal deposits in the brain is not something to dismiss entirely as unimportant, but we have to seriously consider the relative risk of these deposits versus catching a possible brain tumor. The brain is notorious for it’s blood brain barrier which is very selective about what it allows to cross into the brain. This is one of nature’s great defense mechanisms. Just as radiation exposure is looked at cumulatively(it builds over time), we might need to consider MRI contrast exposure cumulatively. But the dose received in contrast is relatively low and generally does not cause issues. Most mutants, for screening purposes have one brain MRI a year. The reason contrast is used is to visualize tiny changes that might be occurring in the brain, so we can monitor or treat them before they get too big and cause a lot of damage. Although treatment of brain tumors has improved immensely over the past decade, it is still one of the toughest cancers to treat for a lot of reasons. Have the conversation with your doctor. Keep the lines of communication open. It’s perfectly acceptable to ask to speak with the radiologist, who is a great person to discuss why exactly contrast is needed, if it is needed and what the specific risks of contrast are. This is what they do. Your team of physicians are your best resources to help you determine which scans are necessary for you and if the possible benefits outweigh the possible risks. Most often, by expressing your concerns with your doctor, they can help alleviate worry as well as get to know you and your priorities for care. Mayo Clinic. “Direct evidence of gadolinium deposition in brain tissues following contrast-enhanced MRI exams.” ScienceDaily. ScienceDaily, 16 March 2015. <www.sciencedaily.com/releases/2015/03/150316160431.htm>. PROMPT Study could Use LFS Participants!